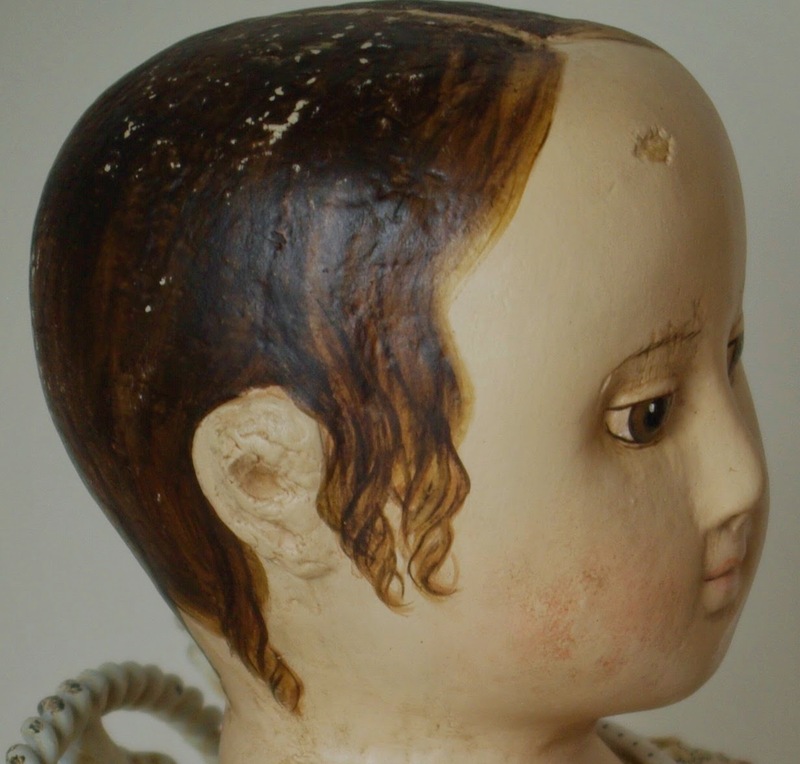 "THE LITTLE HAMPTONS" : The Little Hamptons, Reproduction of Hannah, an antique Izannah Walker doll. 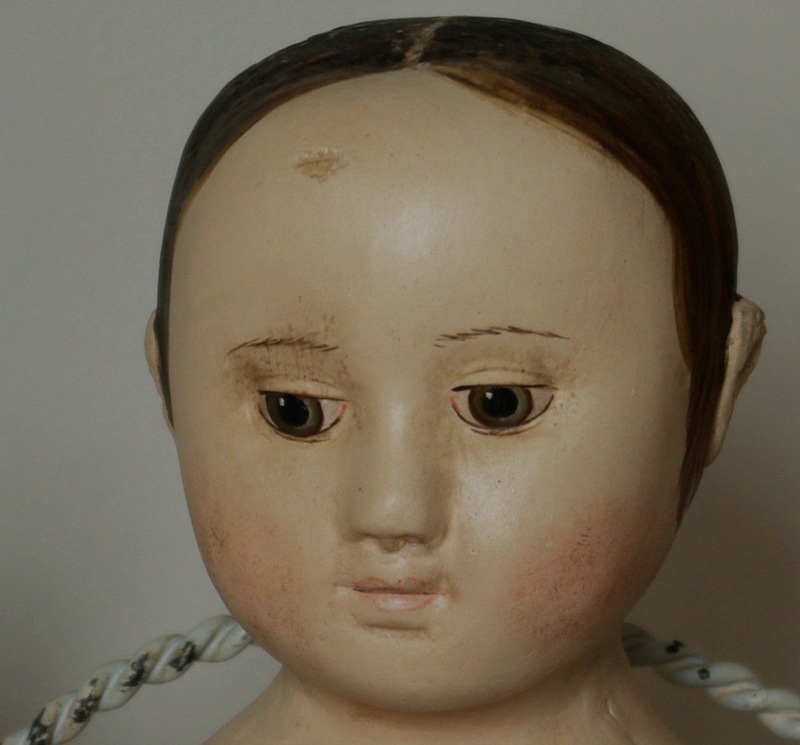 The Little Hamptons, Reproduction of Hannah, an antique Izannah Walker doll. Another girl completed. She is a 19 1/2" reproduction of the antique Izannah Walker doll, Hannah. This doll has a very soft look about her. I have given her a very pale cheek and lip colouring. She has ringlets at both the back and the sides. I have painted her lace up boots directly onto her legs and feet, but the rest of her clothing is fully removable. Her clothing is made from mostly cotton antique fabrics and lace, her petticoat being made from an antique cotton garment, with original pintucks and lace. Her dress is a beautiful soft shade of pink antique fabric. Her chemise, petticoat and dress have button fastenings and her apron is tied at the back in a bow. The three Different reproduction dolls that are for sale both here and on Etsy.